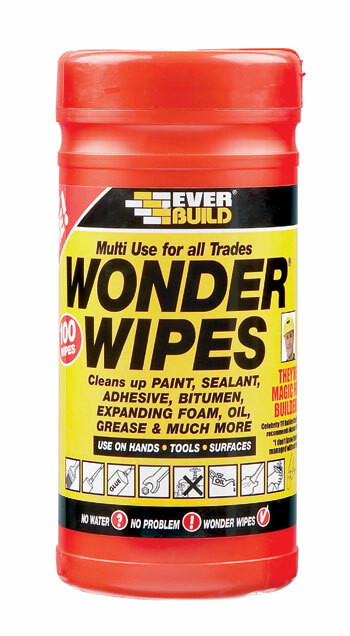 Everbuild - Multi-use Wonder Wipes have become the first choice wipe of the nations builders and tradesmen. Specially formulated to clean hands, tools and surfaces from wet and semi-cured paint, sealant, adhesive, bitumen, expanding foam, oil, grease and even silicone. Particularly useful when there is no water on site.